Much Delayed Post: Written on Friday, Posted Today, When it should have been done all on Wednesday. The day before yesterday Devon and I had a mission: Get Boston Symphony Orchestra tickets. That took us all about 30 seconds not including the the subway ride there. So why did I not get home 'til 6ish when I left 4ish. 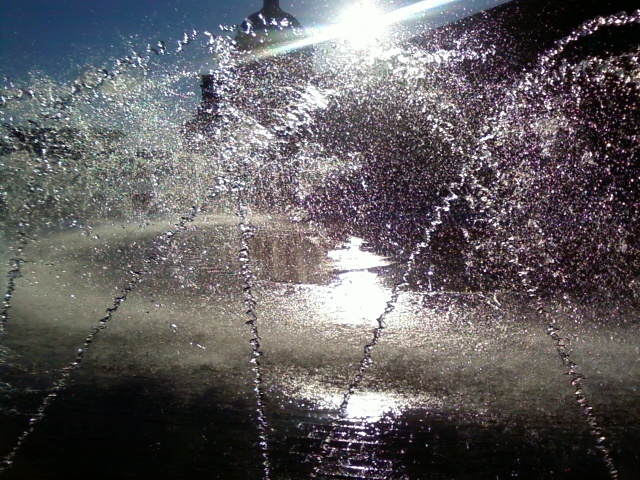 Well, I stumbled upon a fountain, a reflecting pool of water, northeastern (graduate studies education building, I believe), The First Church of Christ, Scientist, the Prudential Center, the apple store, newbury street, and more. All those places coupled with finding the UPS man, walking back from where ever we were, and just positive attitues turned it into a wonderful day. It was a great adventure. 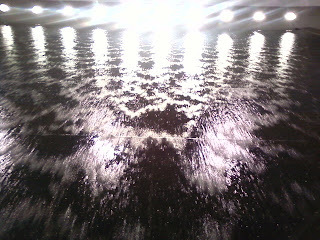 This is of the a fountain, we came across. Looks pretty spectacular, if I say so myself? This is inside the Prudential. Looks abstract but it's not. 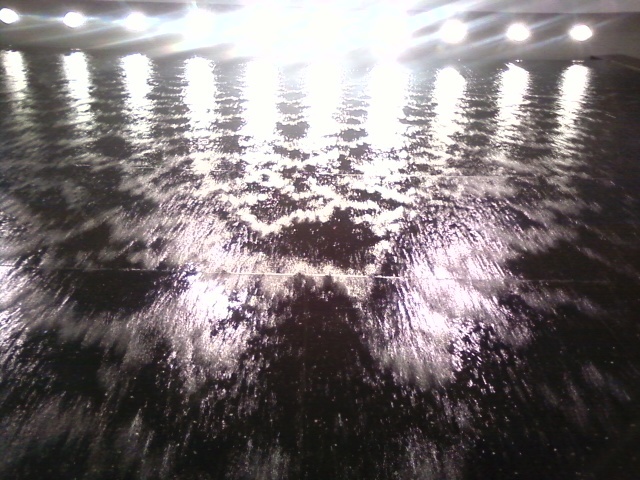 It's just water falling down a wall. 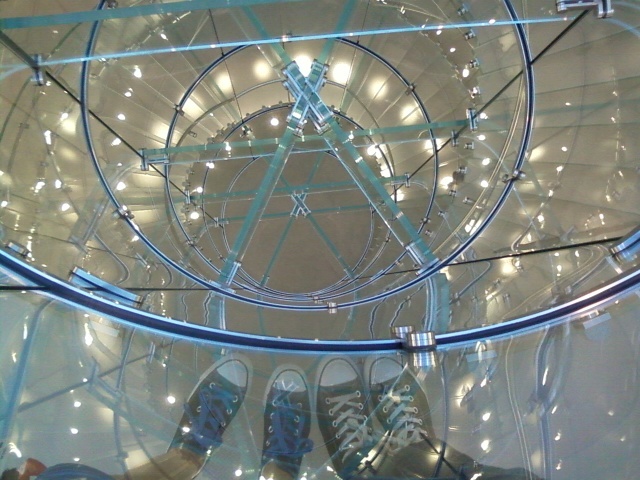 My Personal favorite: The inside of the three story Apple Store. 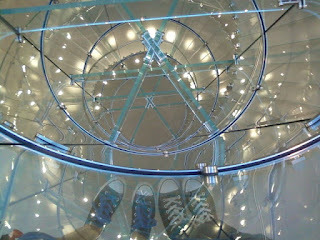 I like how you can see our converses; It makes the picture. Came across this on the walk back. It was nostalgic. 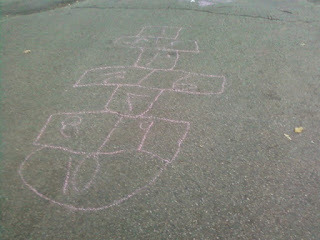 I can only imagine the little child, who went to the park with her parents, drawing that and pleading her parents to hopscotch with her. Since I posted this so late, I can include a brief description of today, technically yesterday now. . . It was tiring! I went to sleep at 1ish, maybe 2ish, woke up at 10:30 and went full blast until 11:30. I'm exhausted! But had so much fun at the Museum of Science, mexican food place, prudential, BSO (Boston Symphony Orchestra), and even the T. Oh good times!